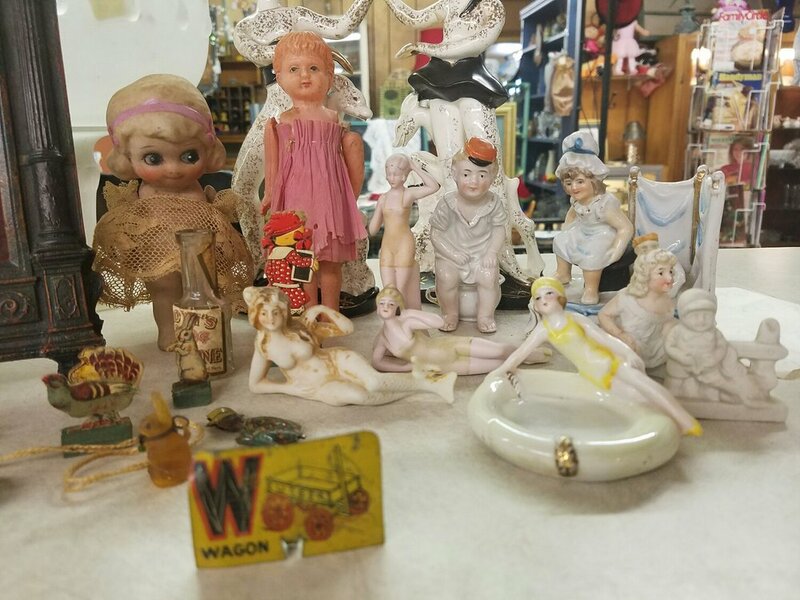 Bathing Beauty, Naughty Girls, Dolls and miscellaneous smalls. I have been in the Antique Business for 25yrs. This is the first time I have had bathing beauty's. I just love them. Making do with what you have.